Recorded in Boston with Bob Weston at the controls, The Sound The Speed The Light is a departure from the pinned-needles roar of 2006’s The Obliterati. The 2009 album sounds far more spacious and dynamic. It is more or less divided into 4 sets or suites of 3 songs. Each suite explores a set of moods or colors, across the usual dizzying array of lyrical topics, from alcoholism to fleshly concerns. 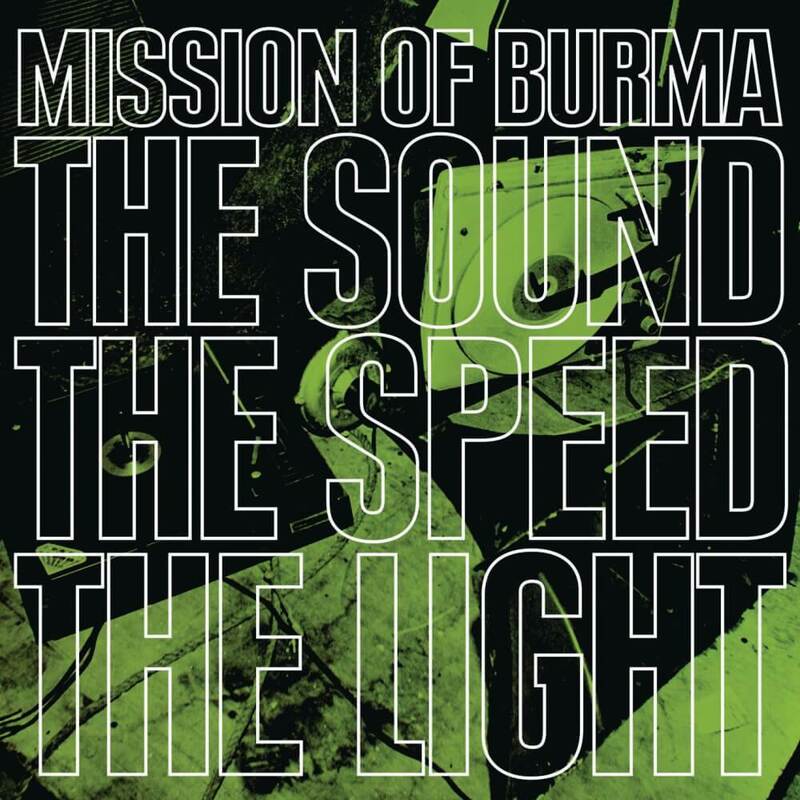 The anthemic, catchy opener, “1, 2, 3, Partyy!”, is a classic Mission Of Burma rocker on a level with “This Is Not A Photograph” or “That’s How I Escaped My Certain Fate.” Other tracks, such as “Feed,” “Forget Yourself,” and “Slow Faucet,” are slow, hypnotic builders. “Good Cheer” is a burst of almost uncontainable joy and fun that literally explodes from the speakers. Of course, all the Burma trademarks are also present: the military snare drum, the melodic basslines high up on the neck, and the furiously experimental guitarwork, refracted and changed back into the songs via tape loops – all punctuated by the hoarse shouts of drummer Peter Prescott. This controlled chaos, this disciplined letting go, is the heart of what they do and it remains as exhilarating and fulfilling as ever.